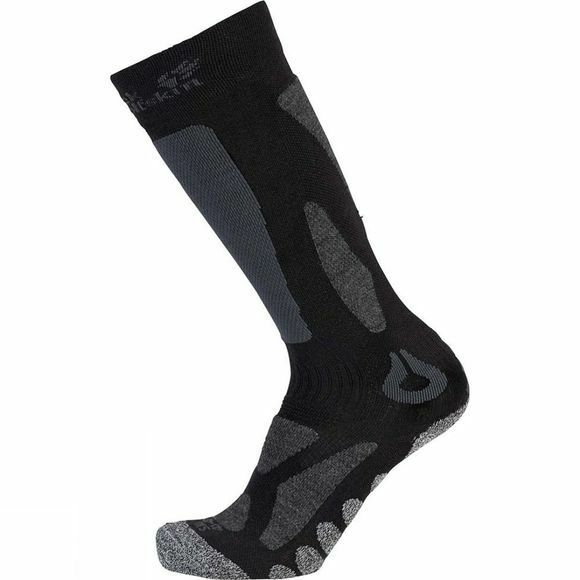 The Ski Merino Sock High Cut Sock from Jack Wolfskin are designed for maximum foot comfort when ski touring. They feature ventilation channels at the instep and footbed for better breathability, and to prevent your feet from overheating. The blended fabric wicks moisture effectively to the outside, leaving your feet dry; this in turn prevents chafing and blisters, even after a long day on the hill. The comfort is further enhanced by the thick padding at critical points like the ankle and toe.